Finally we have a Stinger toy that isn’t just a repaint. 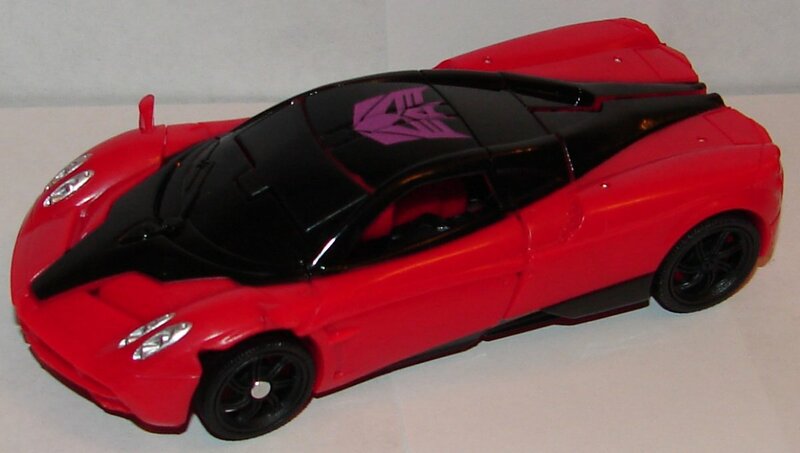 Sadly, it is looking more and more like this will be the only Stinger toy we will see. How depressing. Stinger is not a bad toy. His vehicle mode is very cool and pretty accurate. His robot mode has a lot of molded detail. The only problem is that he’s a One Step Changer. 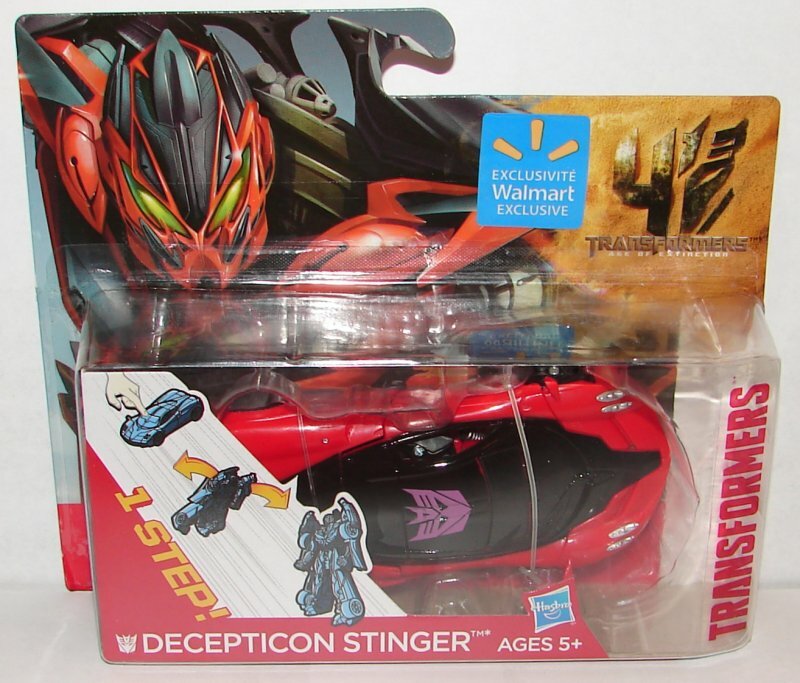 This would not be as much of a problem if we were getting a real Stinger toy, but as of now that does not seem likely. It seems that he is packed into One Step Changer Series 2 Cases that Walmart is getting in, unlike most exclusives that are shipped in their own cases. This could make him hard to find, but also explains how some of these shoed up at Target a while ago. 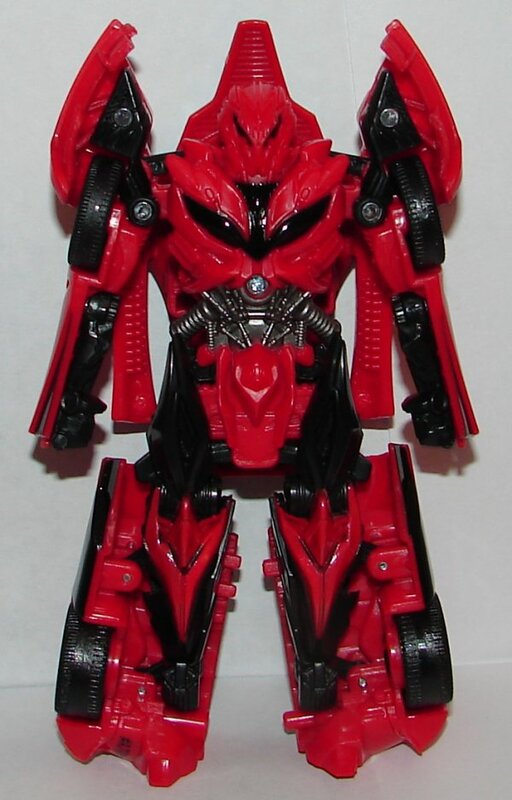 This entry was posted in Toy Reviews, Toys, Transformers and tagged Age of Extinction, AOE, One Step Changer, One Step Changers, Stinger, Toys, Transformers, Transformers: Age of Extinction, Walmart Exclusive. Bookmark the permalink.